Hello, again! Just dropping in to share this hair style I created for this lovely young lady starting her 1st day of kindergarten! Styles for the youth are simple but so super cute! 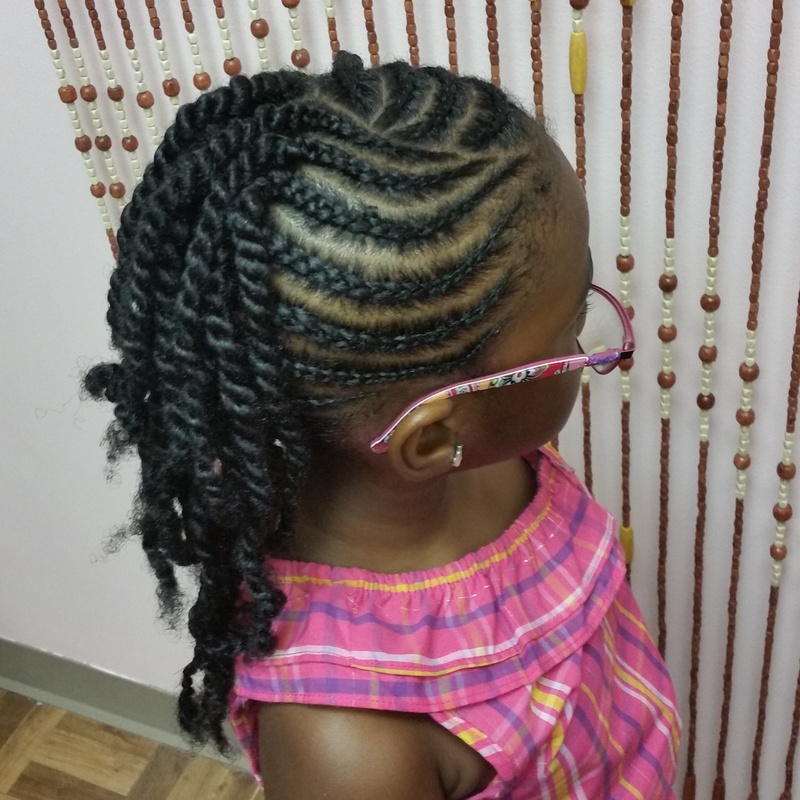 Check out this cornrow and 2-strand twist combo! This is a quick and simple style that can be worn by all ages! I may try it on myself when I take these braids out! This look can last up to 2 weeks and only requires a light oil on the hair and scalp as needed!